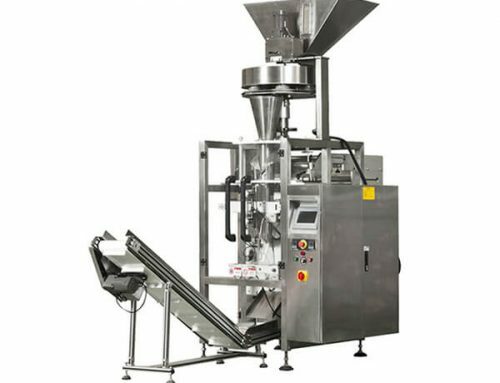 The automatic powder packing machine is designed to pack different powder materials such as milk powder, flour, detergent powder, coffee, seasoning powder and so on in small and large quantities. 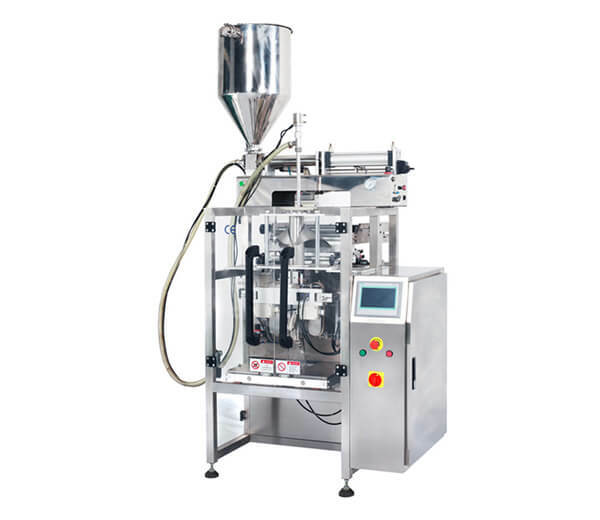 It adopts advanced design concept, PLC microcomputer control system and reasonable frame, simple operation and low failure rate. 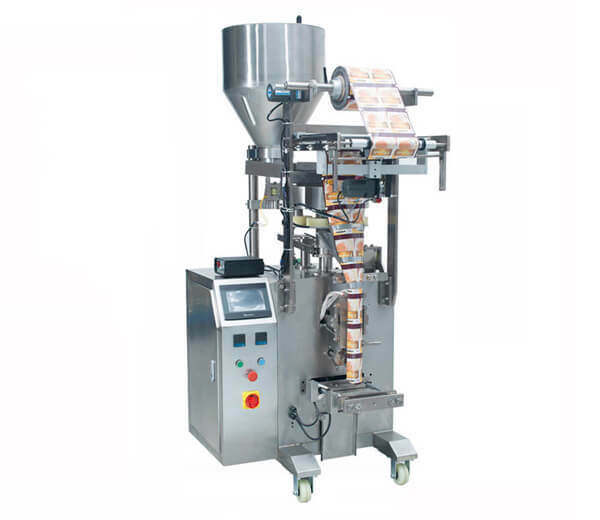 The automatic powder packaging machine can automatically finish the process of bag making, filling, measuring, filling, sealing, printing and cutting. 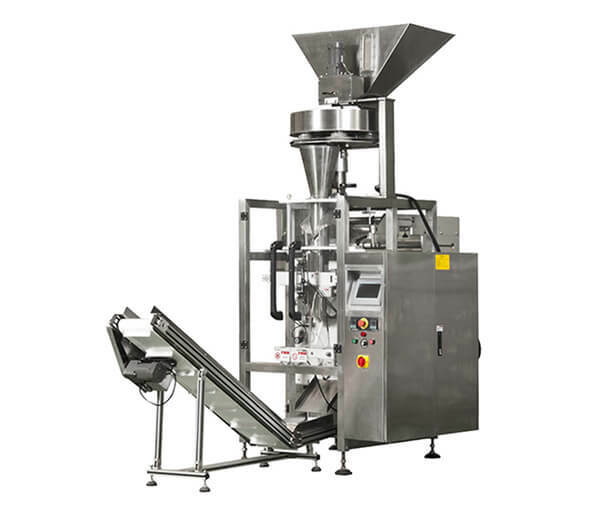 As one of the professional packing machine in China, a wide range of liquid packaging machine, granular packing machine and vacuum packing machine to meet you need. ◆ Adopt touch screen and with stable and reliable PLC control. 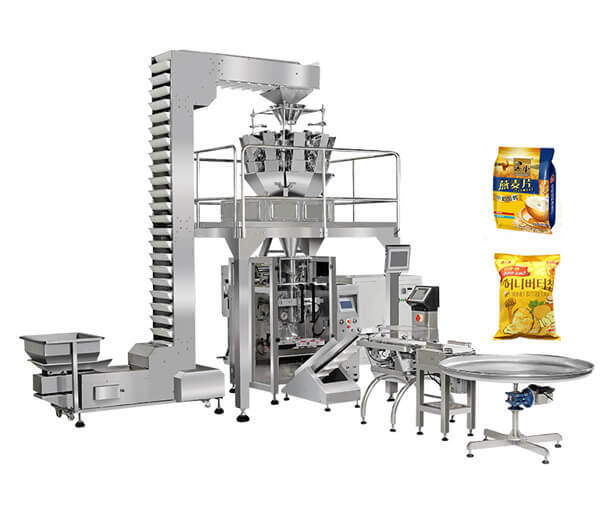 ◆ Can do all work in one time like making bags, measuring, filling, sealing, piling and cutting. ◆ Box style packing, nicer. 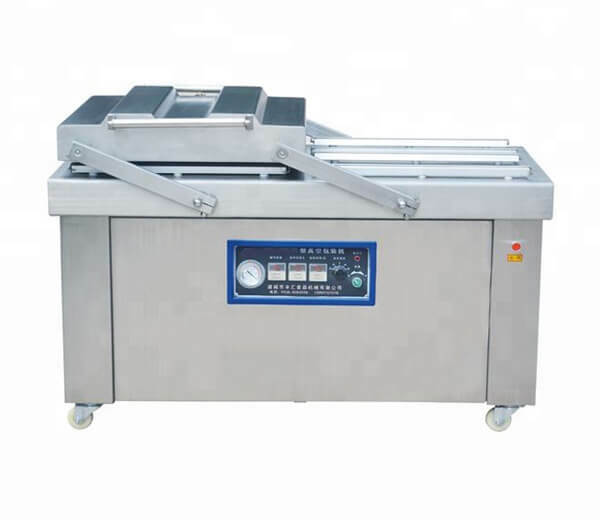 ◆ Adopt double server electronic motor control, more accurate pulling films and fast speed. 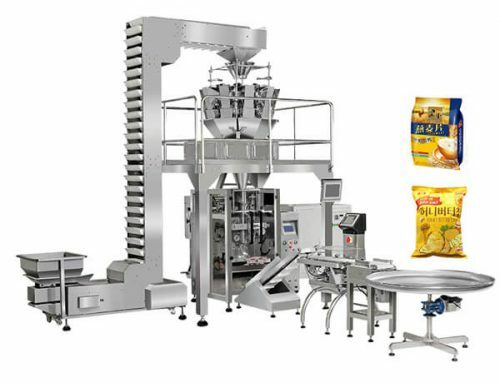 ◆ Adopt outside putting films structure and the packing films are easier to install. 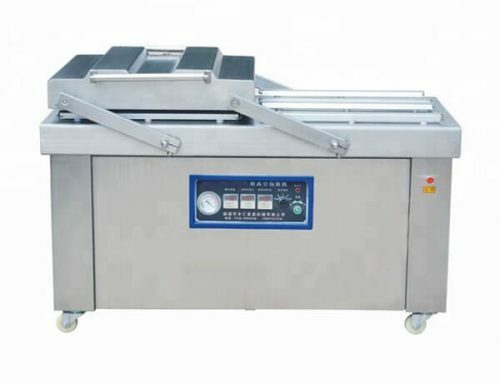 ◆ Can adjust the departure automatically and can save much labor cost. ◆ Good working environment, low noise. 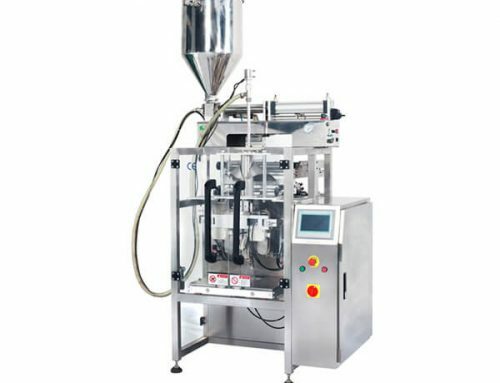 ※ Scope of application: the automatic powder packaging machine is quite suitable for packaging little sticky powder products such as milk powder, coffee, sugar, juice, salt, pesticide powder, mask powder, garlic powder, curry powder, chocolate powder, flour, detergent powder, etc, ideal equipment for many industries like food, hardware, agricultural products, medicine, daily chemical and other industries. 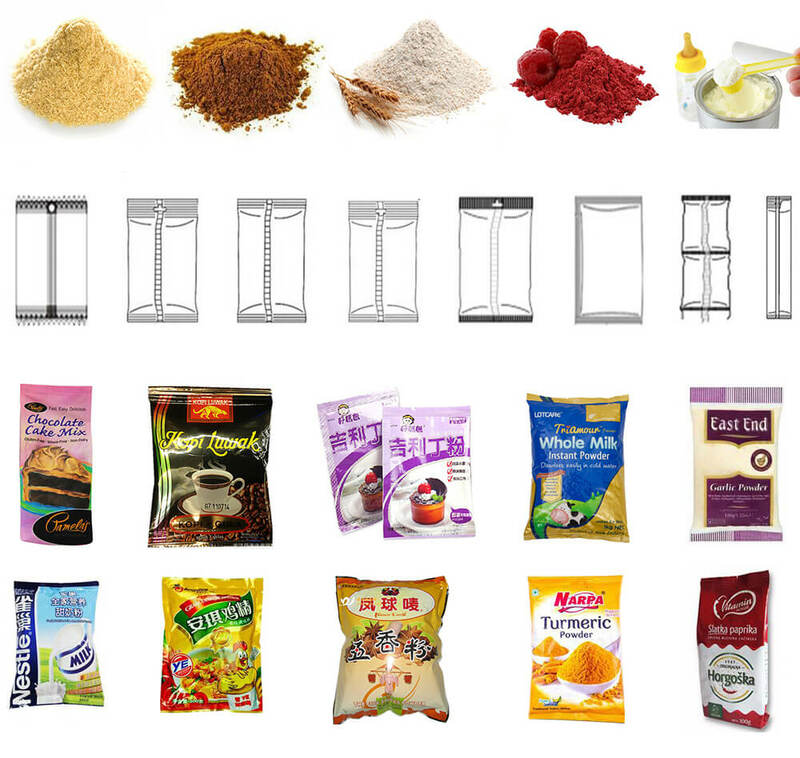 ※ Packaging materials: paper / PE, Pt / PE, PET / Plated Al / PE, PET / PE, BOPP film, tea filter paper composite packaging materials can be heat sealed. 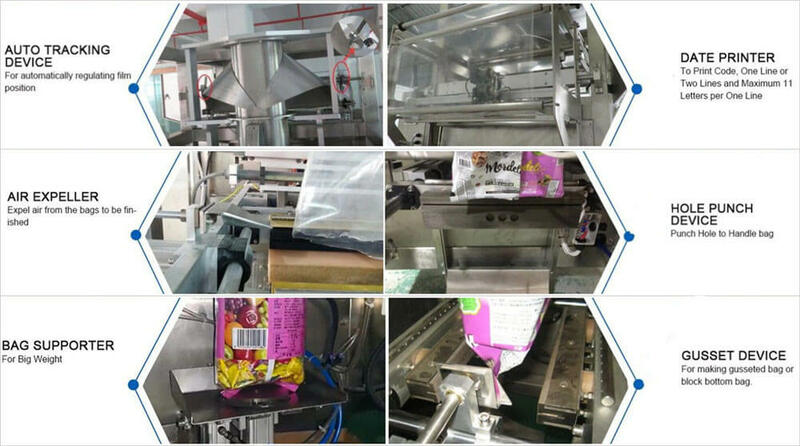 ※ Always check each part of the powder automatic packing machine screw, cannot have a loose phenomenon. ※ Pay attention to waterproof, moisture proof, anticorrosive of the electrical department. 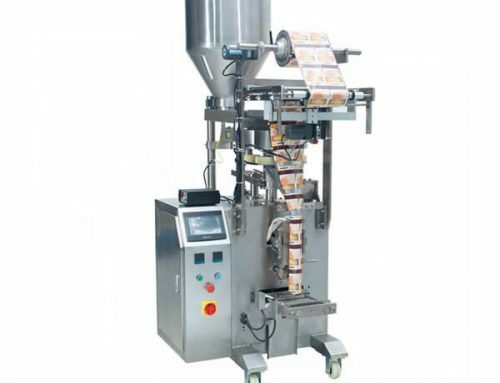 ※ Make the heating sealing body in the open position when packing machine stop working, to prevent burning packaging materials. ※ Ensure the electric control box clean to prevent electrical fault..